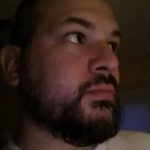 As I close my personal blog, Rage of Rayzor, I am pulling a couple of articles from Rage of Rayzor to the Horror Syndicate. I am a sucker for a good Ghost story. Countless small towns across the United States have urban legends. Details often mutate over the years creating some fantastic stories. 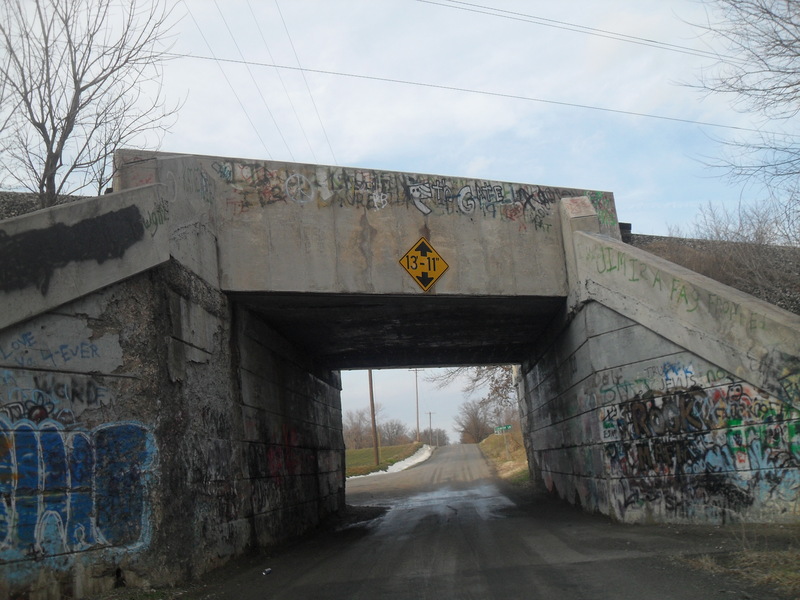 One such story tells of a place known as the “Seven Gates of Hell” in the twisted back roads of Collinsville, Illinois. So are these gates just a string of creepy abandoned overpasses or could they be conduits of the supernatural? 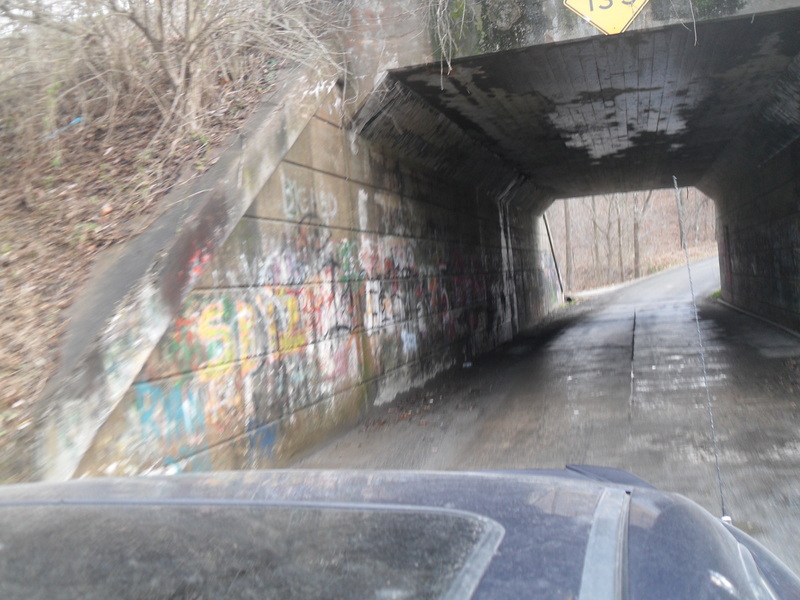 When you travel down Lebanon Road, just outside any signs of town, you come across the first gate. I’ve heard no major legends or stories about this specific gate. It has a minimal creep factor, probably due to its proximity to town. A trip through this gate left me with nothing to report. Just after Gate 1 you have to keep your eyes open and make a left hand turn or you will miss Gate 2 and skip to Gates 3 and 4. There are a few gate2legends about this gate. One tells the story of a young African American child being chased through a wooded area by the KKK, who eventually hangs him from the gate. There are conflicting reports about this, even among lore websites. Other stories say that the young man was killed by a friend for the love of a girl. Others still, claim the young man hanged his friend and, in a moment of regret, hanged himself. Whatever the reason, it is said that around midnight you can see a young boy swaying in the wind hanging from the gate. Some believe he waits there to waive you through to the next Gate. I have been through this gate numerous times and have not seen a thing. On this day in January 2012, I found nothing new. The legends are very creepy and sad (if there’s any truth to them), but tellings of the paranormal here seem to be false. I have read that these are merely rumors made up by a man doing a social experiment. I personally have no evidence to discuss. 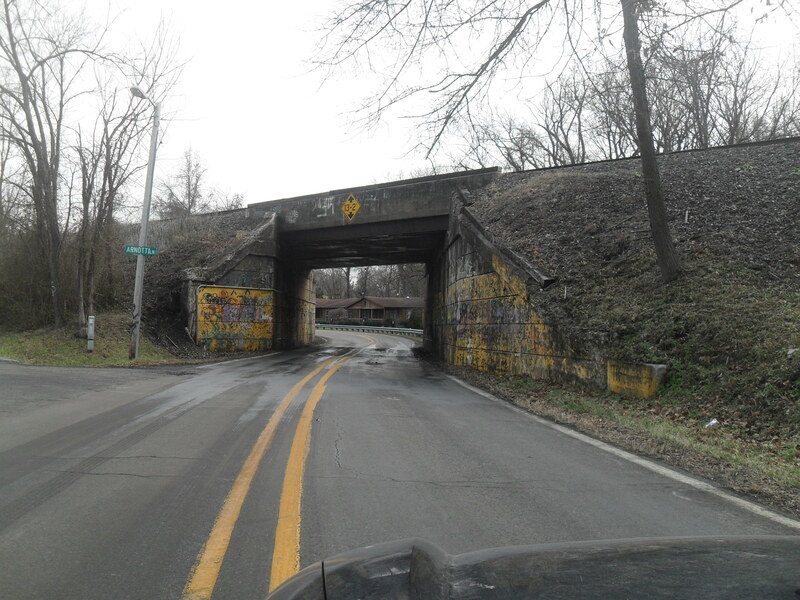 These are known as the “Twin Gates.” After you go through Gate 2, just continue driving and you will come across some overpass ruins and the road runs parallel to the current railroad tracks. You have to take the very next right and be careful, it is a little tricky. Gate 3 is immediate and when you pass through you will be in a valley of sorts. I recommend pulling over as far as possible and be as close to the middle of gates 3 and 4 a possible. Get out and look around for a moment, keep your ears open and stay alert. The Legend of the gates 3 and 4 are good and creepy. Rumors of satanic rituals of animal sacrifice are said to have been going on since the 1970s. When my friend Derek and I stopped here between gates 3 and 4 we got out of the car to look around a little. Being in this area at any time makes me feel a little sick and like I am being watched. The strange thing is: everything goes silent, all you hear is running water. If you are stopped in the middle there is a little creek or quarry on both sides. Coming from Gate 3 on your right side is an overgrown dumping ground. The other side was littered with animal remains. We were standing next to the car ready to move on to the next gate when we heard a car coming. The car sounded like is was coming toward gate 4 moving towards us and it was coming fast. We jumped in the car and slowly went through gate 4, but no car. There was nothing, we both heard a car coming and get extremely close to us, the sound just disappeared. Pulling through gate 4 I noticed a white trash bag lying off to the side of the road. When I pulled even closer, it has the remains of what looked like a baby calf. I am not sure what to think about a baby calf in a bag at gate 4, but it’s eerily consistent with the legend. I felt watched the entire time. Before we get to Gate 5, I would like to say a few words about the house directly after gate 4. It has been called the “Death House,” and is said to be haunted and used for satanic rituals. There is a sign on the fence that says “STAY OUT!” Please listen, someone does live there and I am sure they have had enough with the Legend of the Seven Gates of Hell, for goodness sake it says STAY OUT! A pretty good distance from Gate 4 you may lose interest in the journey, unless you’re like me and you need to get through them all. Gate 5 seems to be the most narrow of the gates and is the longest. There is some confusion among out-of-towners regarding the distinction between Gate 6 and a different gate known as “Acid Bridge.” I have been togate6 Acid Bridge many times and it is not on Lebanon Road. Nonetheless, Acid Bridge and Gate 6 often share legends. One legend says two youngsters were driving through the back roads, tripping on acid and they lost control of their car and either hit gate 6 or drove off Acid Bridge, killing them instantly. If it happened at gate 6 I would expect some sort of evidence of a car accident or at least more safety signs or something. Legend says you can go to gate 6 or Acid Bridge and see a “ghost car” recreating the horrific event. Nothing happened to me. Gate 6 came and went with no evidence of a car accident. The electrical poles leading to the gate actually tell the tale of the two youngsters. Someone spray painted words on all the poles, its pretty cool! This, they say, is the gate that leads to Hell. By this point you will be nearly in the town of Troy, Illinois (perhaps the people of Collinsville think Troy is hell?). Legend states that if you go through every gate in order at midnight, upon passing through Gate 7, a portal to Hell will open and you will be greeted by “Hell Hounds.” Barring that, some say repeat the order in reverse ending with Gate 1 and then you will see the hounds or a portal will tear into reality so you can get a glimpse into the Lake of Fire. But don’t run. The hounds will get you. Derek and I went through Gate 7. Nothing happened. I was happy to see someone spray painted the number of the gate on top. We did drive back through all the gates and ended at Gate 1. We didn’t see Hell, exactly, we only saw our trip in reverse. Of course, the rules are to do this at midnight, and we did not. You can decide for yourself if that may have been a factor. To conclude this tale, I will tell you that the Seven Gates of Hell are extremely creepy, especially Gates 3 and 4, but that’s it. Huge on the creep factor. The thing I will never understand about the gates and most urban legends is, why midnight? If it has anything to do with the supernatural or Hell it should all go down at 3 AM. That is the witching hour my friends, that is supposed to be the most active time for the supernatural. So, do I believe in the Seven Gates, no I do not? I do recommend checking them out for nothing more than the creep factor. Please be careful, the roads are dangerous and do it when it’s nice weather. Be safe out there and here are directions if your brave enough. Drive carefully, there are a lot of turns, sharp curves, and a couple of hairpin turns on the roads back there. Some of the roads have drop off sides of a good ten feet and some of them are not much more than loose gravel. BE ALERT & CAREFUL! We don’t need YOU joining the legend, okay? Drive SOBER! The road’s a might tricky to drive correctly sober, don’t make it worse by driving it hopped up on booze, drugs, or any other mind altering substance. Drive cautiously and watch for other drivers. Even in the old country days there were still SOME people living out there on the roads and now there are more. Don’t speed through and slam into someone. Don’t bother people’s homes. Okay so the story says the house is haunted or had blood rites performed at it. That doesn’t mean you can explore it. Posted or not, obey people’s privacy and the law; there’s no sense in spending the witching hour of Halloween in jail. Take West Main Street in Collinsville, Illinois east to Lebanon Road and turn left. Keep traveling it until you’re out of town. Soon you’ll come upon Gate #1. Shortly after Gate #1, Lebanon Road will turn to the right. You need to turn immediately to the left onto Lockman Road to find Gate #2. Go through Gate #2 and keep following Lockman Road. You’ll come to a place where the road seems to dip and go back up, part of it goes straight, the other turns right. Since you’ve been running parallel with the tracks on your right for a while, you’re going to turn right and find Gates #3 & 4 the “TWIN GATES.” Be careful of the curve coming out of Gate #4, it turns sharply to the right. When you turned right you started down Longhi Road. Keep going straight on this road. Longhi Road will run into and you will get back on Lebanon Road. Don’t worry, you won’t double back on a bridge, trust me. Keep following Lebanon Road past Heck Road, Bohnenstiehl Road, and Pense Acres. Shortly after Pense Acres turn left onto South Liberty Road. Follow this for a while and you’ll go through Gate #5. Just after Gate #5, South Liberty Road will run into W. Mill Creek Road, take that to the right. Gate #6 will appear briefly afterward. Keep following West Mill Creek Road over Scott-Troy/Troy-O’Fallon Road where it becomes East Mill Creek Road. Watch for Blackjack Road and take it to the left. Look next for Bauer Road and take it to the right. Follow Bauer Road and it will take you to Gate #7. Not long ago , I received a message from Intricate Idiot, he asked me if the Gates of Hell were closed. It lead me to think about many different story ideas, but I knew he was talking out the famous “Gates” from the article this website was born from. If you missed it, how dare you and here is your chance to read it. That is by far the most popular article on this site and for good reason. It tells the tale from gate to gate, in-depth history and even directions, which now have to be altered. So, I looked every where on the Internet to see if I could find real reason why the city of Collinsville closed off the path between Gate 3 and Gate 4. 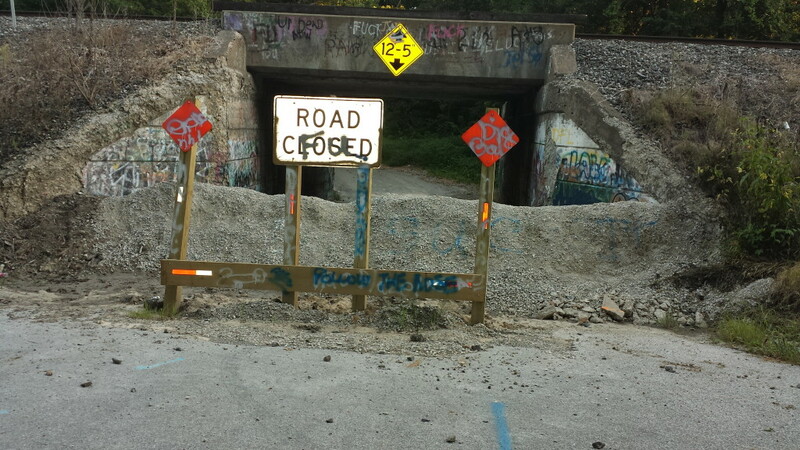 I do think it is a reason would be to keep people out of there, it is a very dangerous path with a creek on either side, which doubles as a dumping area. That could be the other reason, to stop people from dumping trash and their old matress into the creek. But you can see the graffiti on the walls on the over pass and from this picture we can see people have already started their protest. Here is the thing the city of Collinsville doesn’t seem to get. You can put up these barricades and keep people from driving through the Twin Gates, but it will not stop people from going in. Sure it might be dangerous and sure it is off limits. But those two things are what people love, I mean it gives people that rush, breaking the law. The other thing, if it is not manned with police patrols, what is to stop people from going out there and setting up a bonfire right smack dab in the middle of the Twin Gates. These are just a couple of problems I see, coming from a “rule breaker” in my youth. Gate 4 is Closed as well. The terrible thing about this is, there is now no direct path through the gates. No longer can you follow my old directions, hell maybe this is the work of some religious group who believe in the Gates and their power. If you cannot go through all 7 in order, you cannot go to hell or open the portal to hell. I can spin conspiracy theories all the live long day. But the fact of the matter is, the Gates of Hell are close. I believe it has to do with unwanted traffic through a dangerous road. The people of Collinsville who live on the back roads dealing with unwanted traffic in the middle of the night, the teenagers trying to scare girls or the people who want to take a can of spray paint to the gates. This will not end the attraction, it will never end, unless…unless they are planning some kind of demolition. Who knows, I am sure the director of Collinsville Streets Department knows. I did email him and we will see what he has to say, I bet it is some generic reply. So for now, fellow travelers, you cannot pass, through the Gates of Hell. You can still drive past the third gate and it is a little creepy, but drive to the 4th gate. I say, check it out, but be careful. To Gate 3, follow through Gate 2 and drive on to Gate 3. It will be closed off so do not turn into the Gate. To Gate 4, before you get to Gate 2, take the right hand turn and follow the road and when you get to the split go left. Be careful and do no mess with the neighbors. Thanks for reading and be careful out there, respect the law no matter what or how you feel about them. If you have a local legend or ghost story you would like to let us know about, please do. Email us at TheHorrorSyndicate@Gmail.com. Don’t forget to subscribe to our Youtube channel for every single episode of THS LIVES! Follow The Horror Syndicate on Facebook and Twitter!